If you have been using Internet on a regular basis or working in a large company and surf the Internet while you are at work, you must have surely come across the term firewall. You might have also heard of people saying “firewalls protect their computer from web attacks and hackers” or “a certain website has been blocked by firewall in their work place”. If you have ever wondered to know what exactly is this firewall and how it works, here we go. 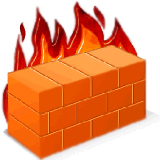 In this post I will try to explain “How firewalls work” in a layman’s terms. My View : Zone Alarm is the best firewall out there on the Internet. Penetration Testing is usually referred to testing by an ethical hacker to break into a target network with limited information about the said network. It is also called a network (layer) penetration test or a black box test. It requires the bare minimum information about the targets, usually just the IP addresses of the systems to be tested. The testing is performed using a penetration testing tool kit which comprises of well over 25 custom, commercial and open source tools. The testing, though leverages tools, has a very high involvement of a well trained and experienced security tester. The results of a penetration test will usually be free of false positives and on request the tester will also conduct exploits and chained exploits on the target systems. Variations include conducting the penetration testing on internal networks; between inter connected LANS and VLANS, on wireless networks, and penetration through social engineering techniques. Penetration Testing plays an important role in securing enterprises by verifying the efficacy of existing security programs and mimicking real world network and application layer attacks to your systems. Vulnerability scanning is usually referred to running an automated vulnerability scanner against a block of IP addresses. The manual component is limited to the coordination and scheduling of the scanner and delivery of the automated report. The reports are very detailed and long, but are not free of false positives. The extent of false positives would depend on the accuracy of the selected vulnerability scanner. The scanning process is very quick and generally can be conducted at a pretty low cost. The scanners are sold as perpetual licenses and on subscription in a software-as-a-service model. Vulnerability Scanners play an important role in securing organizations as a key component of security vulnerability management programs. Goal Use Penetration Testing to verify if networks are secure, what does a hacker see, discover unknown security flaws. Do quarterly or at least annually. Implement Vulnerability Scanning as part of an overall vulnerability management program. Do monthly or at least quarterly.